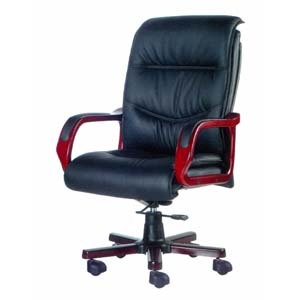 An Elegent Office Chair Beautifully Constructed For Your Office. Pneumatic Lifting Capability Gives You The Total Control Of This Chair. Beautiful Wooden Handle Gives More Stability On This Chair. Available In All Leather & Half Leather) Comfortable for Daily Use. Very Strong Construction. Easy To Assemble.